The Kia Cadenza, Forte, Niro, Sorento, and Soul received "Highest Ranked Large Car, Compact Car, Small SUV, Midsize SUV, and Compact Multi-Purpose Vehicle in Initial Quality" in their respected segments. Kia vehicles require regular maintenance to keep them operating at their highest level possible. Kia’s factory trained technicians and state-of-the-art equipment help provide peace-of-mind for you and whatever your Kia vehicle needs. To request a service appointment, please click the button below. Our dealership service staff will contact you to confirm you appointment. If you have any questions, please call our service center at 734-315-2240. 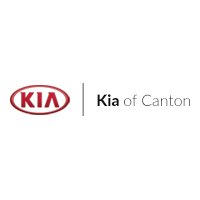 Perfectly located for drivers in the Novi, Ypsilanti, Wayne, Westland, Belleville, and Plymouth area, Kia of Canton is committed to getting drivers the Kia vehicle they deserve. We offer both new vehicles, used cars, and certified pre-owned vehicles, and Kia of Canton offer 5-years of free maintenance on any new vehicle you buy. Our Kia technicians are skilled and experienced enough to handle any problem that may arise, and Kia of Canton is so committed to offering drivers a quality vehicle, we offer 5-years of free maintenance on any new vehicle you buy. Kia of Canton is also proud to go a step farther than many dealerships, and we can fulfill any and all of your tire needs. Kia of Canton isn’t just committed to providing drivers with a high-quality vehicle and fulfilling of their service and parts needs. We are also committed to making those vehicles accessible and affordable for you. That’s why we work hard to make sure that we can collaborate with you on an auto financing option that makes sense for your budget and your needs. We want to work with you to make sure you get the vehicle you deserve at a price we can agree on. Kia of Canton wants to make you a customer for life–not just for one time. That’s we strive to provide comfortable, convenient, and high-quality customer service. This includes our loyalty rewards program, which is our way of giving back to you. With this program, you can earn points every time we see you, which you can use to save on service, accessories, or even your next car. When you’re ready to start the buying process, come in and see us at 41840 Michigan Ave! If you have any questions before your visit, don’t hesitate to contact us!